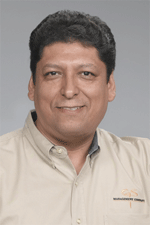 Uriel Grajeda has worked in commercial maintenance since 1988. He joined GS Management Company in 1994 and prior to joining GSMC, he worked for KOLL Management Services as a building engineer on industrial properties, as well as an on-site engineer for high-rise office buildings. Mr. Grajeda recognizes the importance of outstanding customer service in the competitive real estate management industry, which he conveys to our tenants on a daily basis. Mr. Grajeda supervises and trains GSMC facility engineers. He has taken several classes for heating and air conditioning maintenance, plumbing and electrical troubleshooting. Mr. Grajeda has attended San Jose City College in San Jose, California.